During tax season individuals are always looking to maximize the amount of income tax return they receive. If people plan carefully during the year and have a good tax preparation checklist, when preparing their taxes, they’ll have a better chance of maximizing the amount of tax refund they receive from the government. 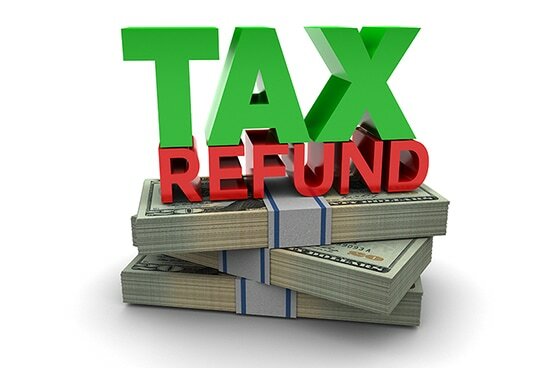 Below are some tips to help individuals receive the maximum income tax refund possible. Deduct family expenses: There are several family related expenses that can be deducted from taxable income. Daycare cost is just one of these expenses the government allows individuals and families to deduct on their tax return. In addition, if an individual or family takes care of their elderly parent or relative is another expense that can be deducted. Other expenses that can be deductions include out of pocket medical expenses and alimony payments. For additional deductions or questions contact one of our tax professionals for more information. Document all your donations: The government allows people to deduct charitable donations to qualifying tax-exempt organizations. These organizations can include religious establishments, colleges, charitable groups, and some community groups. Donations do not always need to be monetary, a person can give personal property or even their time can be deductible. Check with a tax professional to make sure all possible donations are claimed. Increase withholding: For those individuals that may have added to their family (children, elderly parents, relatives in the home), there are provisions to increase the withholdings on a W-4 form with the human resources department at their place of employment. If there are more people in a household, then the government gives individuals more exemptions that can be claimed. Claim Professional expenses: Any out of pocket job related cost are tax deductions. If an expense is needed to do a job that the employer does not reimburse you for, then these are deductions that can be claimed on a tax return. Some examples include mobile phones used primarily for work, fees for professional associations or organizations, travel for client meetings (that may not be covered by the employer), and work uniforms. Review your filing status: Depending on your situation filing status can affect the amount of deductions that can be claimed and the amount of refund received. Generally married couples can claim more dedications when filing jointly than if they filed separately. Go over your filing status with your tax professional to determine what is in your best interest. Review the current tax laws: Tax laws can change from year to year, and the type and amount of deductions can vary as well. Always look at what is allowed for the current tax year to determine what deductions apply to your situation. Start a home business: Individuals that run a small business from their home can deduct portions of their home expenditures. Some of these expenses include telephone service, internet cost, and a percentage of rental or mortgage payments that occupy a home office. Many of the tips listed above are common knowledge, but people often get in a rush and fail to claim the maximum amount of deductions possible which can influence the income tax refund they receive. Give yourself time to really examine your situation to determine which of these tips best apply. For more tips visit our tax resource center page to discover additional advice and tax tips to help you with your tax preparation. If you have any questions or concerns that’s not covered here reach out to one of our tax professionals for more information.